The end of the world, apocalypse, Armagedon… It seems like someone is always predicting global doom. Remember Y2K, or the famous doomsday prophet Nostrodamus? This fascinates me because there are so many people at the other end of the spectrum looking for ways to extend their lives (or at least look really young into old age), cheat death, or freeze their dead bodies for a return to life at a later date. On a recent trip to Guatemala, a country that is home to the world’s largest concentration of Mayan people (more than four million Guatemalans speak a Maya language), I asked a few real Mayans what they thought of the idea. Their responses ranged from bemused to philosophical. Some spoke of a “new age” of greater care for the planet, others said the changes have already happened with environmental degradation and also with our ever-connected world of communications. None thought the planet would implode next year. My general impression is that the Mayans of Guatemala have more immediate concerns like making a living, educating their children, and continuing to recover from a civil war that was truly apocalyptic for Guatemala’s indigenous people. 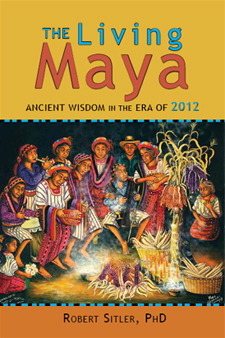 Robert Sitler’s The Living Maya, Ancient Wisdom in the Era of 2012, provides one of the best explanations of the whole topic. One of the points he makes is that the Maya aren’t an extinct culture found only in the ancient heiroglyphics and ruins of ancient cities that range through Guatemala, Belize and Mexico. 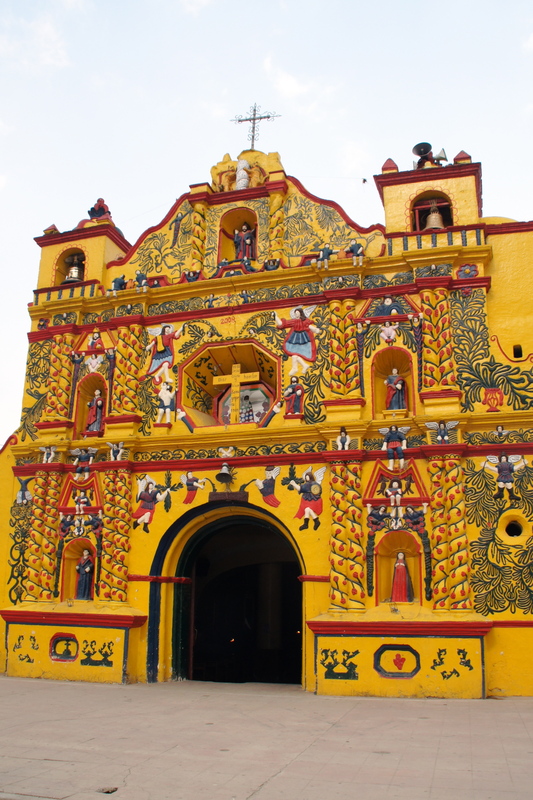 Instead, Sitler, who is a professor professor at Stetson University in DeLand, Florida and serves as Director of its Latin American Studies Program, looks at the culture and traditions of real, live Mayan people. I’d put this book at the top of reading list for anyone traveling to Mexico and Central America. And, for anyone really worried about what will happen in 2012, the folks at NASA offer a down-to-earth look at the 2012 topic from an out-of-this-world perspective. 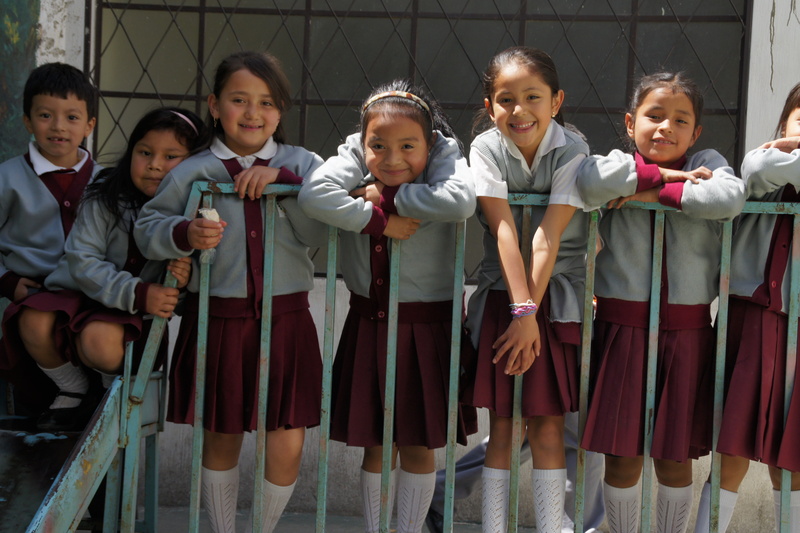 On our recent trip to Guatemala, we visited Miguel Asturias Academy in Quetzaltenango. A chance to go behind the scenes at a school is a great way to learn about local culture, what people are teaching their children, what they aspire to, and how kids there interact with each other and with their teachers. 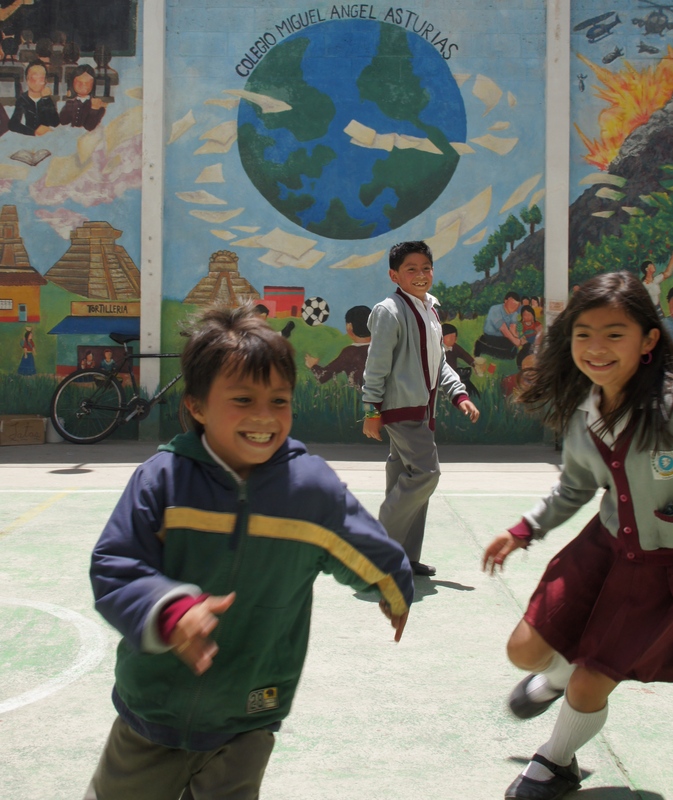 I find this school, named after Guatemala’s Nobel laureate, particularly exciting because its leaders seek to improve life for Guatemalan children, not just through literacy, but also by teaching them about leadership, gender equity, and concern for the environment—concepts that aren’t in the typical curriculum in Guatemala, or sometimes even in the U.S. Growing a crop of well educated, critically thinking, socially conscious citizens is about the only way I can think of for Guatemala to move beyond the conflict and corruption that has dominated civic life. This isn’t a fancy private school for elite children. Asturias students are from a range of backgrounds from poor and indigenous to middle class. It was founded by Jorge Chojolan, who was, himself, a poor indigenous kid. 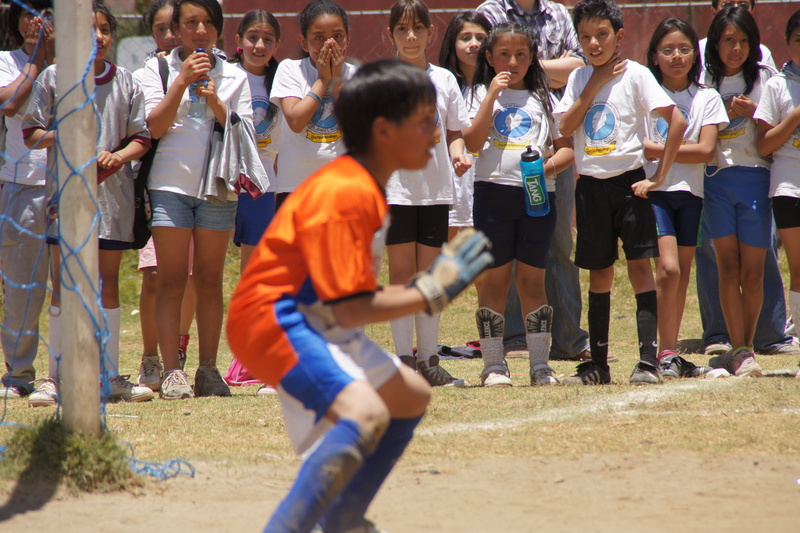 Click here to see a video about Jorge and the school’s philosophy. One of the latest accomplishments at Asturias is the new library, which still has many needs, particularly good science books in Spanish. Librarians Without Borders (I’ve heard of doctors, but never librarians without borders) has helped them create the library, which will eventually be open to the community. Public libraries—another of the things we take for granted. 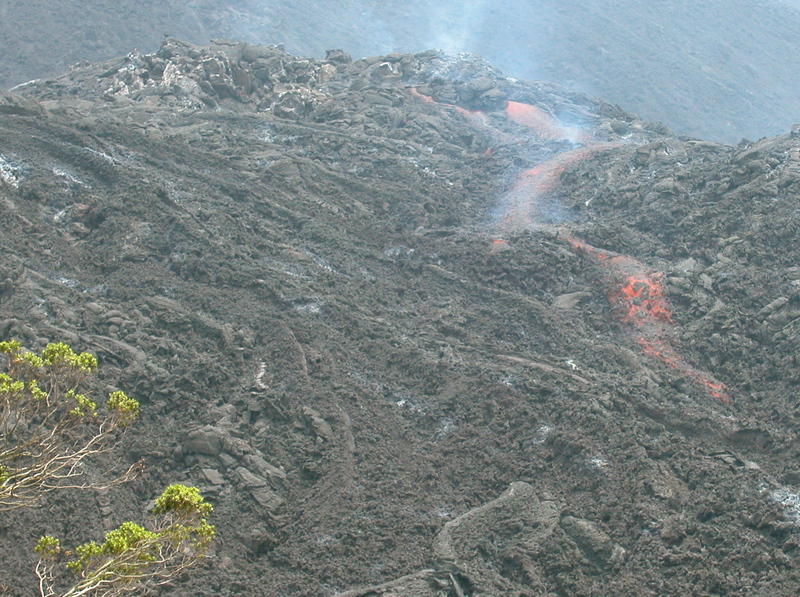 One of the most popular activities for visitors to the Guatemalan highlands is hiking up volcanoes. Some people approach it like collecting merit badges, listing which ones they’ve “done.” That’s a big job because there are 33 volcanoes in Guatemala, three of them very active. On our last visit to Guatemala, we hiked up Pacaya near Antigua, which is active, to say the least. 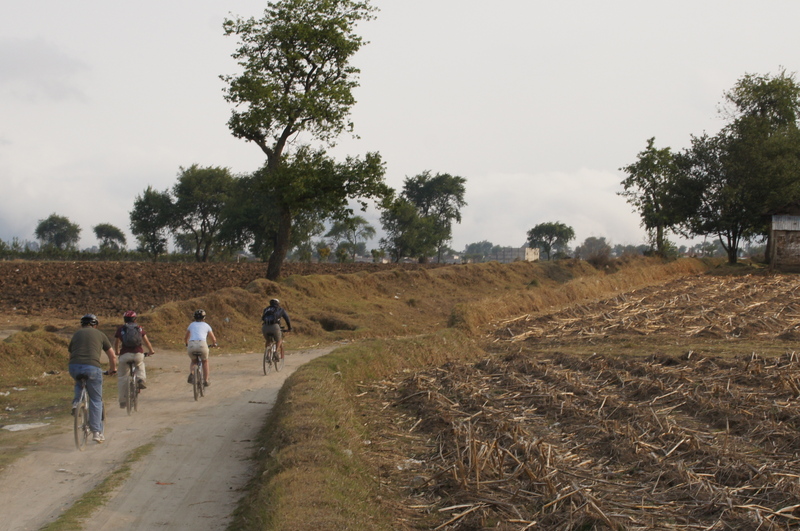 It always strikes me when I visit developing countries how few safety rules there are. 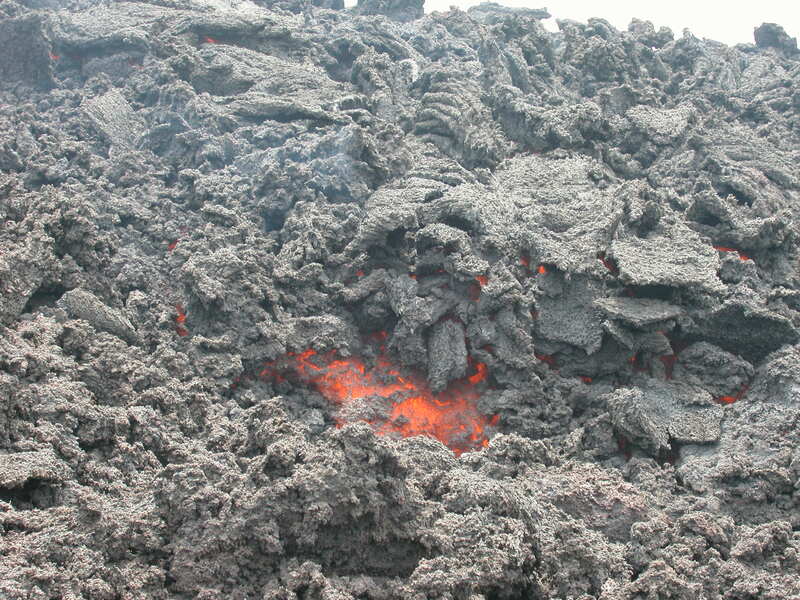 For example, on Pacaya, there’s nothing stopping you from walking right up to the lava flow, except common sense, which from my own experience, (and judging from the video below) is often in short supply. Standing all too close to the lava flow—which felt like standing in front of a giant hair dryer—our guide suggested that we poke around with our walking sticks (rented from a group of local children who I initially feared wanted to swat us with them) to be sure that the scree underfoot was sturdy enough to stand on. Oh, and be sure to check the bottoms of your shoes to be sure they’re not melting… This just would not be allowed in the U.S. where we worry about keeping five- year-olds in car seats and constantly douse ourselves in Purell. I recently scored my second Guatemalan volcano: Santiaguito, near Quetzaltenango. Santiaguito is actually a junior version or extension of the much higher Santa Maria volcano, and therefore a shorter trek, which was fine with me. The big attraction is that it erupts in a giant cloud of ash and steam about as regularly as Old Faithful geyser in Yellowstone. We started our trek around 6:30 a.m. in order to be in place to see it erupt around 8:30. “Poco e poco,” and with several banana bread and water stops, we made it to the designated viewing spot, a kilometer or so from the crater, along with a fellow hiker from Hungary and a group from France. 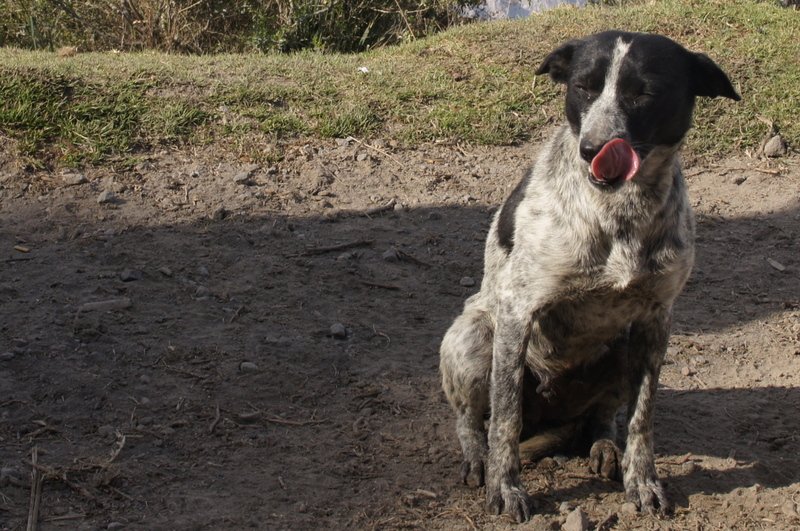 Who knew scampering up a dusty trail in Guatemala could be such a cosmopolitan experience? As can happen with travel, all did not go according to schedule. Santiaguito was a little slow that morning. We ate sandwiches in the company of a particularly persistent little begging dog and waited. The clouds rolled in, then the eruption began, half obscured, but viewable nonetheless. The sound, even at that distance, was amazing, like a huge roaring jet engine. Of course, if we had been closer, the clouds wouldn’t have been such a problem but I’ll trade a better view for a modicum of safety. Here’s a video from a guy who was a little too close to Santiaguito for comfort.